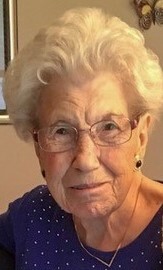 Sofia Boc passed away on Friday, February 1, 2019 at the age of 91 years old. She had a rich life filled with family and many wonderful friends, a teacher of kindness and love to everyone around her. Sofia was predeceased by her daughter, Jennifer Mary Boc in 2010. Mom, Grandma, GG, will be dearly missed and lovingly remembered by her family; Henry (Karen) Boc, Les (Marlene) Boc, four grandchildren; Tracey, Katherine, Alyssa & Geoff Boc, three great grandchildren that put a sparkle in her eye; Tegan, Finley & Madison. In keeping with Sofia's wishes, the family and close friends will hold a private celebration of life.